Is TM Finally Ready To Offer 30Mbps Upgrade To More UniFi Customers? 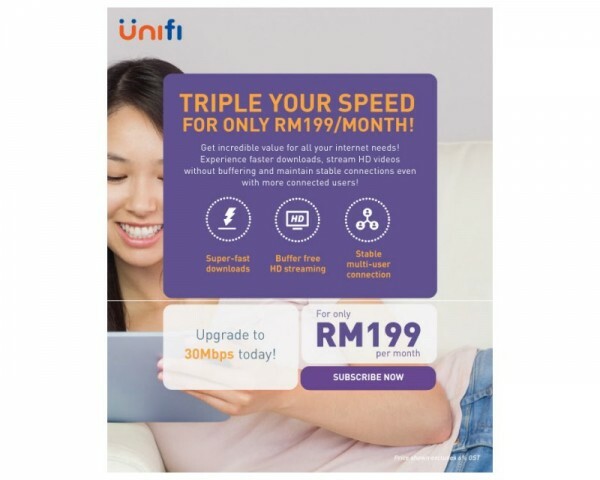 It has come to our attention that TM might have recently sent electronic direct marketing (EDM) e-mails that offered speed upgrades to selected UniFi customers. While that might not sound like something out of the ordinary, what made the EDM interesting is the speed upgrade of 30 Mbps. As you might recall, TM has kicked off 30 Mbps and 50 Mbps trials for UniFi customers in eight areas around Klang Valley a few months ago. 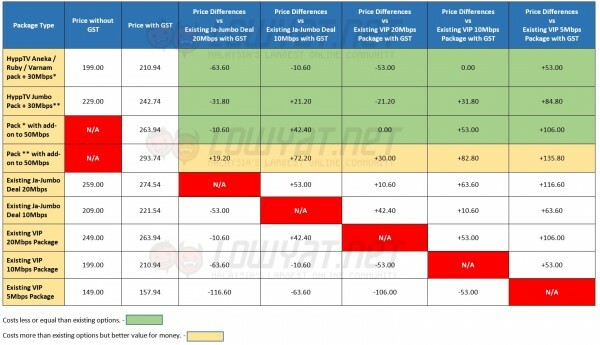 This particular EDM which seemed to be targeted for 10 Mbps customers, stated that the monthly fee for the 30 Mbps package is RM 199 per month but the pricing is not inclusive of GST as stated in the EDM. We believe that this is the same plan that we reported back in April. Comparison: The new UniFi 30Mbps and UniFi 50Mbps, together with the existing UniFi VIP 20, VIP 10, and VIP 5. Click on the image for larger view. However, since the “subscribe now” button on the EDM doesn’t lead to a proper page and with UniFi’s official page still to display the new packages, there is no concrete information to back up the EDM’s offer at this moment. Nevertheless, this might mean that TM is finally ready to officially open its higher speed packages to more UniFi customers as per its response to our inquiries a few months ago. Meanwhile, we have reached out to TM in order to obtain official confirmation as well as additional information regarding this matter. We’ll update the post when we receive a response.